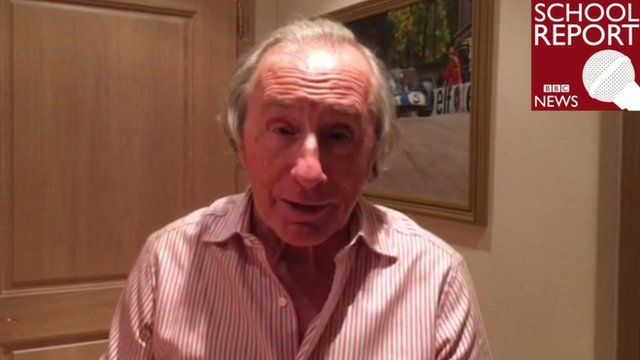 School Reporters Robert and Andreas from The Beacon School, Buckinghamshire, held a video interview with triple Formula 1 world champion Sir Jackie Stewart all the way from his home in Switzerland. The 77-year-old Scotsman, who is an "extreme dyslexic", gives advice for those struggling with dyslexia as well as who to look out for in the upcoming 2016 Formula 1 season. School Report is a project helping secondary school students around the UK make their own news for a real audience. Follow more reports from students on the project's 10th annual News Day on Thursday.